What happens when a former Zen Buddhist monk and his feminist wife experience an apparition of the Virgin Mary? When a vision of a mysterious "Lady" invited Clark Strand and Perdita Finn to pray the rosary, not only were they disinterested in becoming Catholic, they were finished with institutional religion altogether. Their main spiritual concerns were the fate of the planet and the future of their children and grandchildren in an age of ecological collapse. But this Lady barely even referred to the Church and its proscriptions. She spoke of the miraculous power of the rosary to transform lives and heal the planet, revealing the secrets she had hidden within its prayers and mysteries--secrets of a past age when forests were the only cathedrals and people wove "rose garlands" for a Mother whose loving presence was as close as the ground beneath their feet. She told Strand and Finn: The rosary is My body, and My body is the body of the world. Your body is one with that body. What cause could there be for fear? Weaving together their own remarkable story of how they came to the rosary, their discoveries about the eco-feminist wisdom at the heart of this ancient devotion, and the life-changing revelations of the Lady herself, the authors reveal an ancestral path--available to everyone, religious or not--that returns us to the powerful healing rhythms of the natural world. 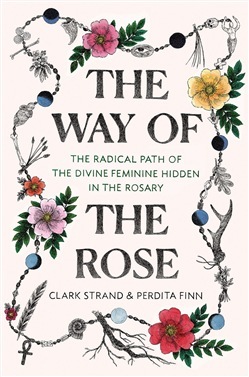 Acquista The Way of the Rose in Epub: dopo aver letto l’ebook The Way of the Rose di Clark Strand, Perdita Finn ti invitiamo a lasciarci una Recensione qui sotto: sarà utile agli utenti che non abbiano ancora letto questo libro e che vogliano avere delle opinioni altrui. L’opinione su di un libro è molto soggettiva e per questo leggere eventuali recensioni negative non ci dovrà frenare dall’acquisto, anzi dovrà spingerci ad acquistare il libro in fretta per poter dire la nostra ed eventualmente smentire quanto commentato da altri, contribuendo ad arricchire più possibile i commenti e dare sempre più spunti di confronto al pubblico online.